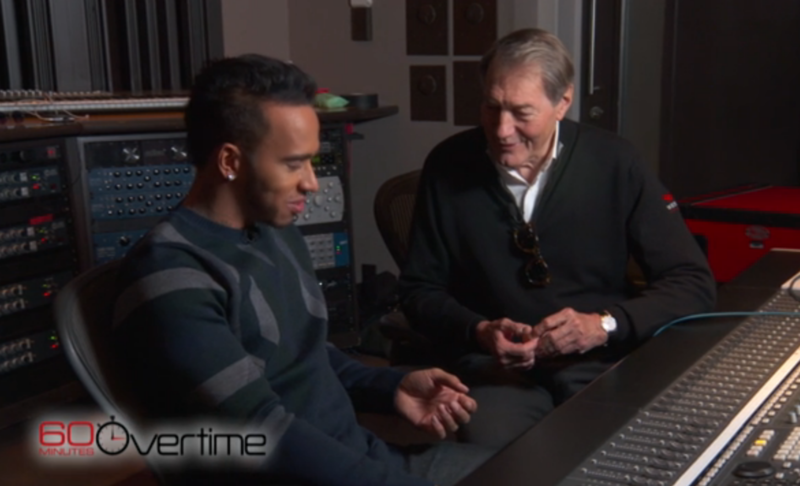 Lewis Hamilton was on 60 Minutes last night and he talked about something other than winning the F1 Driver’s Championship. Lewis now makes music. This is what you do when you win too many times. Jacque Villeneuve did it. Well Those are the only two I can think of. The rest buy awesome houses, go on amazing vacations and run around with super models. Some like Eddie Irvine bought yachts and through amazing parties. Lewis Hamilton makes music. But that’s what happen when your new friends are some of the top players in Hollywood and the music scene. The good news is that Lewis Hamilton is not that bad. Or at least it doesn’t sound that bad on the interview. I mean it could be really bad. Remember the Superbowl shuffle or anything Michael Knight sang? Yeah, this isn’t that bad. And who cares anyway, I’m a Nico fan but Lewis Hamilton is a stud and can do whatever he wants, even make music. Unfortunately I can’t get the video to embed so you need to click here to see the interview. “Lewis Carl Davidson Hamilton, MBE (born 7 January 1985) is a British Formula One racing driver from England, currently racing for the Mercedes AMG Petronas team. He is the 2008, 2014 and 2015 Formula One World Champion. In December 1995, at the age of ten, he approached McLaren team principal Ron Dennis at the Autosport Awards ceremony and told him, “I want to race for you one day … I want to race for McLaren.” Less than three years later McLaren and Mercedes-Benz signed him to their Young Driver Support Programme. After winning the British Formula Renault, Formula Three Euroseries, and GP2 championships on his way up the racing career ladder, he drove for McLaren in 2007, making his Formula One debut 12 years after his initial encounter with Dennis. Hamilton’s contract for the McLaren driver development program made him the youngest ever driver to secure a contract which later resulted in a Formula Onedrive. Coming from a mixed background, with a black father and white mother, Hamilton is often labelled “the first black driver in Formula One”, although Willy T. Ribbs tested a Formula One car in 1986. How Real Is Dirt Rally? Civic-Powered Old School Mini At The Ring!